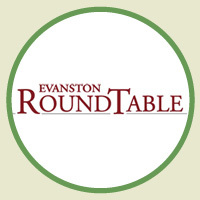 My hometown paper, the Evanston Roundtable, has just published a thorough feature on “Untold Stories,” a program initiated by my congregation’s Peace Dialogue Task Force that features Palestinians sharing their personal stories of their lives under occupation. “Untold Stories” was initiated after we invited two Chicago-area Palestinians – a man from Gaza and a woman from the West Bank – two speak about their lives during our Rosh Hashanah discussion groups. The presentation was so successful and well-received, the Peace Dialogue decided to make it an ongoing program – and eventually invite other faith communities in Evanston to participate as well. This entry was posted in High Holidays, Interfaith, Israel, Palestine, Peace on May 25, 2012 by Rabbi Brant Rosen. It wasn’t your congregation that presented this program. It was some people who are members of the congregation that employs you.